Legend has it that, in a few busy weeks in July 1789, a despotic king, his freeloading wife, and a horde of over-privileged aristocrats, were displaced and then humanely dispatched. In the ensuing years, we are told, France was heroically transformed into an idyll of Liberté, Egalité and Fraternité. 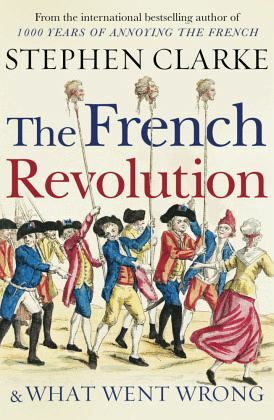 In fact, as Stephen Clarke argues in his informative and eye-opening account of the French Revolution, almost all of this is completely untrue. In 1789 almost no one wanted to oust King Louis XVI, let alone guillotine him. While the Bastille was being stormed by out-of-control Parisians, the true democrats were at work in Versailles creating a British-style constitutional monarchy. The founding of the Republic in 1792 unleashed a reign of terror that caused about 300,000 violent deaths. And people hailed today as revolutionary heroes were dangerous opportunists, whose espousal of Liberté, Egalité and Fraternité did not stop them massacring political opponents and guillotining women for demanding equal rights. 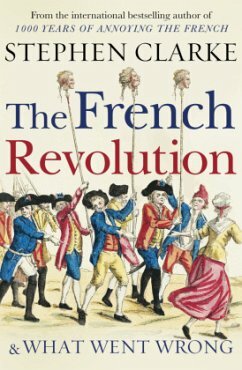 Going back to original French sources, Stephen Clarke has uncovered the little-known and rarely told story of what was really happening in revolutionary France, as well as what went so tragically and bloodily wrong. "Making use of original speeches, eye-witness accounts and newspaper articles, [Clarke] gives a real flavour of the period"